After spending nearly a decade in Washington, DC, Kelsey Mellard has spent the last three years in San Francisco, where most recently she Co-founded Sitka (www.trustsitka.com) and serves as the CEO. Prior to founding, Sitka was an early employee at Honor Homecare. 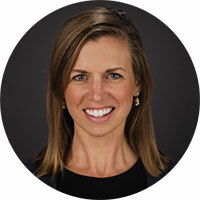 Kelsey joined Honor in 2013 her time as VP of Partnership Marketing and Policy at naviHealth, VP of Policy for Health Services at UnitedHealth Group, and Special Assistant to the Director of the Center for Medicare and Medicaid Innovation (CMMI). Prior to her time in the Federal Government, Kelsey worked directly within the healthcare delivery system with the Advisory Board Company, and as an Administrative Fellow at Children’s Mercy Hospital and Clinic. Kelsey began her career at the Henry J. Kaiser Family Foundation. She attended Winona State University for her Bachelor’s of Science Degree in Community Health, and received her Master’s degree in Public Administration from the University of Kansas.